The government failure argument states that the crisis is rooted in the U.S. housing bubble and bust which was due to failure of monetary policy and government intervention in the housing market. With regard to monetary policy, the Federal Reserve pushed interest rates too low for too long in the prior recession. With regard to the housing market, government intervention drove up house prices by encouraging home-ownership beyond people’s means. 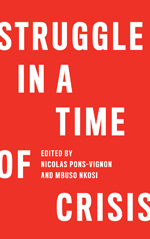 The hard-core perspective therefore characterises the crisis as essentially a U.S. phenomenon. The soft-core neoliberal market failure argument states that the crisis is due to inadequate financial regulation. First, regulators allowed excessive risk-taking by banks. Second, regulators allowed perverse incentive pay structures within banks that encouraged management to engage in “loan pushing” rather than “good lending.” Third, regulators pushed both deregulation and self-regulation too far. Together, these failures contributed to financial misallocation, including misallocation of foreign saving provided through the trade deficit. The soft-core perspective is therefore more global but it views the crisis as essentially a financial phenomenon. The progressive “destruction of shared prosperity” argument states that the crisis is rooted in the neoliberal economic paradigm that has guided economic policy for the past thirty years. Though the U.S. is the epicentre of the crisis, all countries are implicated as they all adopted the paradigm. That paradigm infected finance via inadequate regulation and via faulty incentive pay arrangements, but financial market regulatory failure was just one element. The neoliberal economic paradigm was adopted in the late 1970s and early 1980s. For the period 1945 - 1975 the U.S. economy was characterised by a “virtuous circle” Keynesian model built on full employment and wage growth tied to productivity growth. Productivity growth drove wage growth, which in turn fuelled demand growth and created full employment. That provided an incentive for investment, which drove further productivity growth and supported higher wages. This model held in the U.S. and, subject to local modifications, it also held throughout the global economy - in Western Europe, Canada, Japan, Mexico, Brazil and Argentina. After 1980 the virtuous circle Keynesian model was replaced by a neoliberal growth model that severed the link between wages and productivity growth and created a new economic dynamic. Before 1980, wages were the engine of U.S. demand growth. After 1980, debt and asset price inflation became the engine. The new model was rooted in neoliberal economics and can be described as a neoliberal policy box that fences workers in and pressures them from all sides. Corporate globalisation put workers in international competition via global production networks supported by free trade agreements and capital mobility. The “small” government agenda attacked the legitimacy of government and pushed for deregulation regardless of dangers. The labour market flexibility agenda attacked unions and labour market support structures such as the minimum wage, unemployment benefits, and employment protections. Finally, the abandonment of full employment created employment insecurity and weakened worker bargaining power. This model was implemented on a global basis, in both North and South, which multiplied its impact. That explains the significance of the Washington Consensus which was enforced in Latin America, Africa and former communist countries by the International Monetary Fund and World Bank by making financial assistance conditional on adopting neoliberal policies. The new model created a growing “demand gap” by gradually undermining the income and demand generation process. The role of finance was to fill that gap. Within the U.S., deregulation, financial innovation, and speculation enabled finance to fill the demand gap by lending to consumers and spurring asset price inflation. U.S. consumers in turn filled the global demand gap. These three different perspectives make clear what is at stake as each recommends its own different policy response. 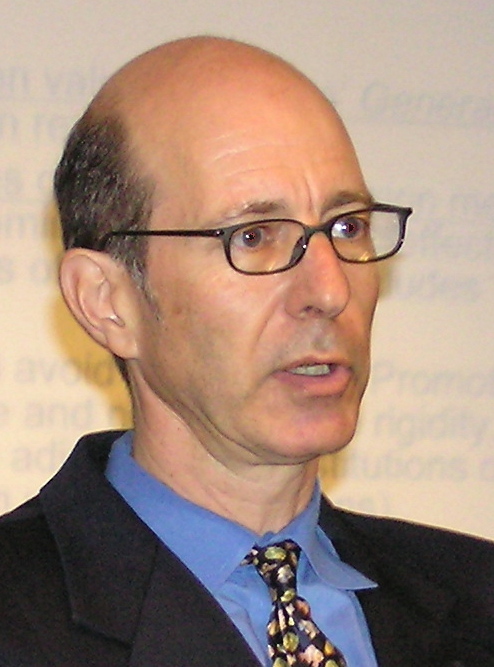 For hard-core neoliberal government failure proponents the recommended policy response is to double-down on neoliberal policies by further deregulating financial and labour markets; deepening central bank independence and the commitment to low inflation; and further limiting government via fiscal austerity. For soft-core neoliberal market failure proponents the recommended policy response is to tighten financial regulation but continue with all other aspects of the existing neoliberal policy paradigm. That means continued support for corporate globalisation, so-called labour market flexibility, low inflation targeting, and fiscal austerity. For proponents of the destruction of shared prosperity hypothesis the policy response is fundamentally different. The challenge is to overthrow the neoliberal paradigm and replace it with a “structural Keynesian” paradigm that re-packs the policy box and restores the link between wage and productivity growth. The goal is to take workers out of the box and put corporations and financial markets in so that they are made to serve the broader public interest. That requires replacing corporate globalisation with managed globalisation; restoring commitment to full employment; replacing the neoliberal anti-government agenda with a social democratic government agenda; and replacing the neoliberal labour market flexibility with a solidarity-based labour market agenda. Managed globalisation means a world with labour standards, coordinated exchange rates, and managed capital flows. A social democratic agenda means government ensuring adequate provision of social safety nets, fundamental needs such as healthcare and education, and secure retirement incomes. A solidarity-based labour market means balanced bargaining power between workers and corporations which involves union representation, adequate minimum wages and unemployment insurance, and appropriate employee rights and protections. Lastly, since the neoliberal model was adopted globally, there is a need to recalibrate the global economy. This is where the issue of “global rebalancing” enters and emerging market economies need to shift away from export-led growth strategies to domestic demand-led strategies. The critical insight is that each perspective carries its own policy prescriptions. Consequently, the explanation which prevails will strongly impact the course of economic policy. That places economics at the centre of the political struggle as it influences which explanation prevails. As of now, the economics profession is split between the hard-core and soft-core neoliberal positions. However, that can change under the pressure of an ugly reality that produces mass political demand for change. The Great Depression of the 1930s forced economics to change and provided an opening for Keynesian economics. The Great Recession and the prospect of stagnation may also force economics to change. The only certainty is change will be politically contested as powerful elites and orthodox economists have an interest in preserving the dominance of the existing paradigm by ensuring that their explanation of the Great Recession prevails. That makes it essential for unions to engage with the theoretical debate regarding the causes of the crisis and how economies work. Their political muscle is needed and the outcome of that debate is critical to their own existence and success. Dr. Thomas Palley is Senior Economic Adviser to the AFL-CIO and an Associate of the Economic Growth Program of the New America Foundation in Washington. D.C. His most recent book (on which this column is based) is From Financial Crisis to Stagnation: The Destruction of Shared Prosperity and the Role of Economics which was published by Cambridge University Press in February 2012. His numerous op-eds are posted on his website. [Select country location (top right hand corner) & enter code "palley2012" at checkout]. This analysis usefully complements the writings of Joseph Stiglitz and Paul Krugman. They focus on monetary and fiscal policies, but say little about the imbalance between labour and capital, which is at the root of the crisis. I feel three essential are needed to overcome the demand gap: a universal, unconditional basic income; a statutory minimum wage to encourage work and fight worker poverty; the promotion of multi-employer collective bargaining so that real (inflation-adjusted) wages keep pace with rising labour productivity. Governments should seek to balance their budgets over the business cycle: debts being paid back during economic upturns, so as to enable deficit spending during downturns. Instead of "coordinated exchange rates, and managed capital flows", I would argue for possible trade measures against countries that manipulate their exchange rates, and the taxation of capital flows along with the regulation of speculative inflows. I welcome Palley’s attempt to replace the Washington Consensus with sound global thinking. But I question the analysis of Saving Gluts and Asset Shortages in his book, ps. 106-112. In the early 1940s, trying to avoid the conditions that led to the rise of Soviet communism and fascism, Keynes recognised the destructive role of current account surpluses and the inability of governments to control their economies. So he developed a system that gave them more power and allowed national surpluses to be curbed. But the US vetoed it and Bretton Woods adopted a system that only required nations to eschew deficits! Despite the credit crunch, excess saving is rarely acknowledged as the driving force for intractable debts and depressions. But China can lower its exchange rate because it can buy US assets with its surplus savings. And this causes the US to run trade deficits from which China benefits as long as it believes the US can service its mounting debt. Palley may be mindful of this when he advocates “coordinated exchange rates, and managed capital flows”. But Keynes required cooperating governments to set rational exchange rates, and current accounts to be cleared. The current system fails both these tests. In 2008 I put three comments on How to save the economy on the Guardian’s Politics Blog*. The first records Keynes’s true opinion of Bretton Woods. And the last has a link to an article on his Clearing Union by George Monbiot. I still recommend this to anyone interested in our future well being. Current attempts to raise demand with more bank borrowing rather than with higher wages and less saving convince me society is addicted to usury. Nor should the massive credit mountains built by big finance be ignored: Many may have to be written off! My first comment on How to save the economy refers to a Google video by Richard Wolff. I now prefer his neat seven minute Economic History on Vimeo at http://vimeo.com/1863172. * Search http://www.guardian.co.uk/politics/blog/2008/nov/13/economy-taxandspending with GCAT.